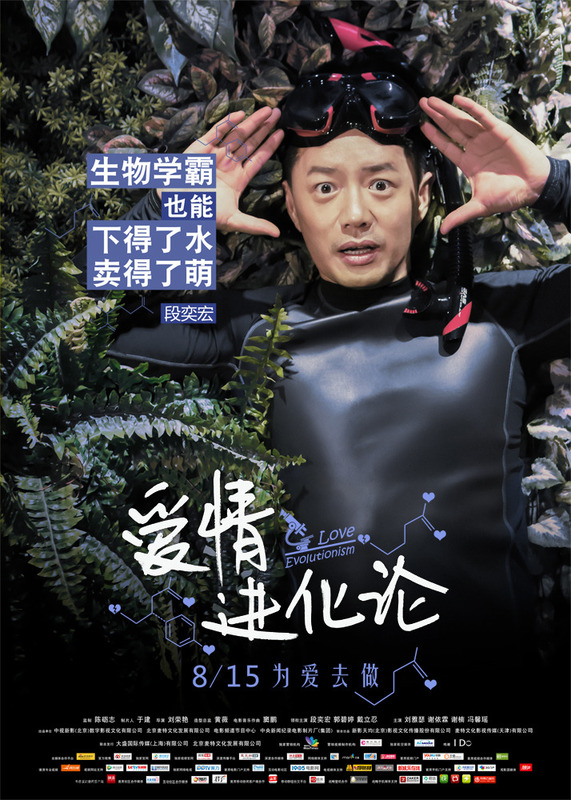 The Starry Night, The Starry Sea 那片星空那片海 is based on Tong Hua’s fantasy novel of the same name, and tells of the fateful romance between a human girl and a merman. Why are Yang Mi’s knees chained? Who is Guo Biting’s knife pointing at? Why is there blood on Xie Yilin’s mouth? Can you decipher this poster? The poster for Tiny Times 4: Soul’s End should be put in textbooks about posters. Titled The Last Supper, the poster, conceived by the director Guo Jingming himself, contains clues for the viewer to guess the ending of each character in the film finale. Fans have already started researching the original painting to try and find comparisons. Can you figure out all the hints? The film stars Yang Mi, Amber Kuo, Bea Hayden, Chen Xuedong, Xie Yilin, Jiang Chao, Lee Hyunjae, Ren Youming, Shang Liao, and Vivian Dawson. There are ten people and ten candles on the floor, and all but one of the candles are burning out. Do they symbolize the lifespan of the characters? Why are Lin Xiao’s legs chained to the ground? Who is Nan Xiang’s dagger pointed at and why? Tang Wanru’s lips have red around them. Wine or blood? Nan Xiang’s hands are on Gong Ming’s legs. What is their relationship? Why is Gu Li’s holding a wig? Is it a sign she will have and survive cancer? And this is their happy face. Tiny Times IV: Soul’s End released yet another set of posters, this time for International Children’s Day. Whose child looks like themselves the most? Amber Kuo, Yang Mi, Bea Hayden, Xie Yilin, Chen Xuedong, or Vivian Dawson? I’m kind of sad they didn’t get Chen Sicheng to do Chen Xuedong. If time could stop, if love and hate could freeze, if memories could become immortalized in amber, if your faces could remain forever …. If time could slow down its march forward and never reach the soul’s end. Then, I’ll have you forever and never lose you. The great thing about having a magazine editor as your director is that even your posters have awesome taglines to go with them. That and Tiny Times has more photoshoots than all other youth films combined in an year. 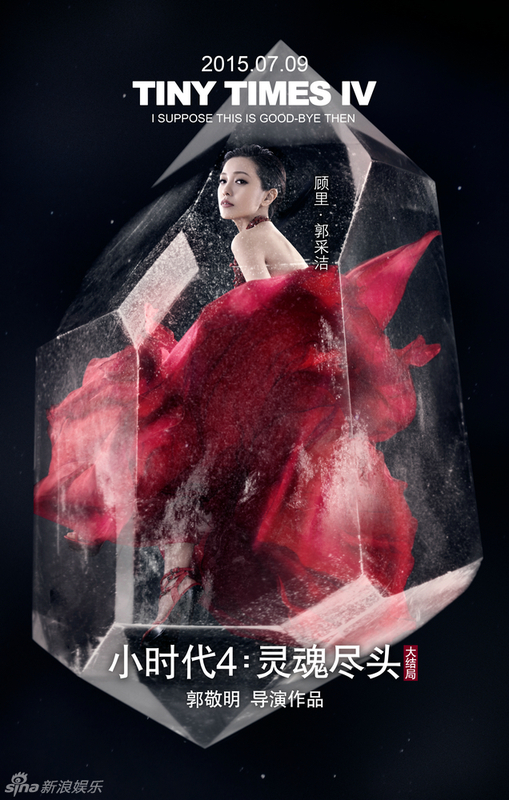 The latest set of posters for Tiny Times 4: Soul’s End 灵魂尽头 is Amber- themed (the resin with dead bodies, not Amber Kuo) and once more features gorgeous cast of Yang Mi, Amber Kuo, Bea Hayden/Guo Biting, Xie Yilin, Shang Liao, Chen Xuedong, Vivian Dawon, Ren Youming, Lee Hyunjae, and Jiang Chao. For those of you in North America, the film is likely to air in the U.S. and Canada. Gao Yuanyuan, Ivy Chen, Bea Hayden, Liu Tao, Jiang Wu, Li Chen, and Zheng Kai cross-dress for upcoming film Let’s Get Married 咱们结婚吧. Gao Yuanyuan plays the manager of a wedding dress store. Trailer below and more posters below the cut. Here’s another summer movie that you might be interested in keeping tabs on! Tiny Times 4: See you Spring 2015! It’s not game over yet! Are you ready for Round 4 with Lin Xiao and Zhou Chongguang? 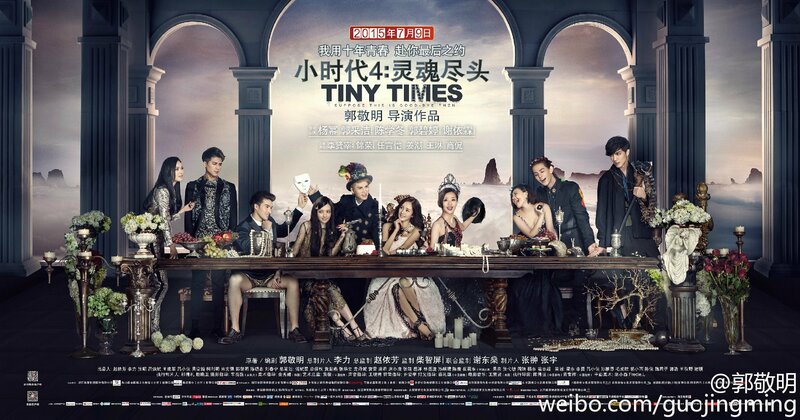 Tiny Times isn’t a trilogy after all…Tiny Times 4, Soul’s End灵魂尽头 is going to bring us back to the glamorous world of Guo Jingmings Tiny Times next spring. See the announcement at the end of Kris Wu’s rendition of Yu Kewei’s Time Boiled Rain, which includes clips from the new movie. (The lyric translations can be found here). Looking forward to more glamorous stills; the fourth movie has already finished shooting. Cast should include Yang Mi, Amber Kuo, Bea Hayden, Calvin Du, Chen Xuedong, Guo Jingming, Jiang Chao, Kai Ko, Lee Hyunjae, Ren Youming, Vivian Dawson, Xie Yilin. P.S: Can anyone tell us how Rhydian Vaughan’s replacement for Gong Ming did in the third movie? All Guo Jingming needs is to add HAGS to make this a middle school yearbook-themed photoshoot. As the trilogy comes to a conclusion, Guo Jingming releases set of BFF, HAGS! 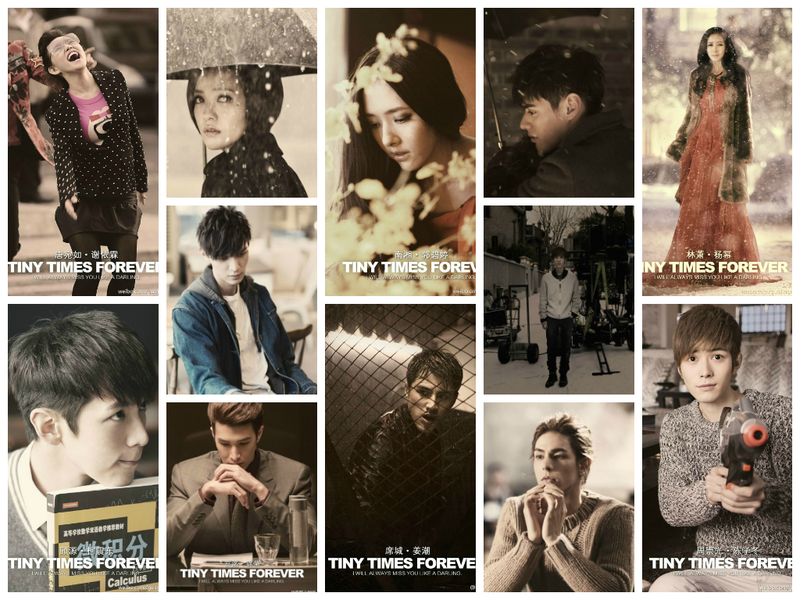 Tiny Times Forever character stills of the leads Yang Mi, Amber Kuo, Kai Ko, Chen Xuedong, Bea Hayden, Xie Yilin, Jiang Chao, Calvin Du, Vivian Dawson, Lee Hyunjae, and Ren Youming. The film opens today in China.